Address: Avenida Alfonso Puchades, 8, Benidorm 03501 (Alicante). Registration information: REGISTERED at the Companies Registry for the Balearic Islands in Volume 563, Book 482 of Companies Section 3, folio 145, page number 12.422, 1st entry. 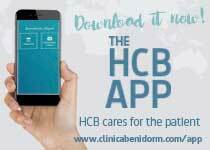 The following General Conditions regulate the use of the Web Site https://www.clinicabenidorm.com/, the owner of which is CENTRO MÉDICO SALUS BALEARES SL, which is available free of charge to internet users and for which no prior subscription or registration whatsoever is necessary. Nevertheless, the User is required to register on the Web Site in order to contract certain services or products. 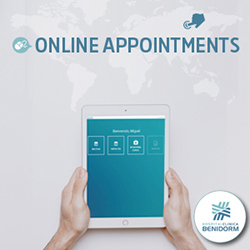 Using our Web Site makes you a user and constitutes full and unreserved acceptance of each and every one of the General Conditions in the version published by CENTRO MÉDICO SALUS BALEARES SL at the time the User accesses our Web Site and acceptance also of our Policy on Privacy and Use of Personal Information. The User should read carefully the General Conditions on each and every occasion he or she intends to use our Web Site. In addition, use of the Service is also subject to any warnings, regulations of use and instructions of which the User is made aware by CENTRO MÉDICO SALUS BALEARES SL and foreseen in these General Conditions, insofar as they do not challenge them. CENTRO MÉDICO SALUS BALEARES SL reserves the right to deny or withdraw access to its Web Site at any time without the need for prior warning if a User fails to comply with these General Conditions in addition to any Special Conditions which might be applicable. Refrain from entering, storing or spreading, on or from this Web Site, any defamatory, injurious, obscene, threatening, racist information or information which incites to violence, racial, gender, ideological, religious discrimination or which in any way attacks morals, public order, fundamental rights, public freedom, honour, privacy or the image of third parties or which in general is against current regulations. Refrain from entering, storing or spreading, using the Web Site, any computer programmes, data, viruses, code, hardware or telecommunications equipment or any electronic or physical device which might cause damage to the Web Site, to any of the services or to any of the pieces of equipment, systems or networks of CENTRO MÉDICO SALUS BALEARES SL, of any User or, in general any third party, or which, in any way is capable of causing any type of alteration or hinder their normal functioning. Refrain from destroying altering, using for his or her own purposes, disabling or damaging any of the data, information, programmes or electronic documents of CENTRO MÉDICO SALUS BALEARES SL or third parties. 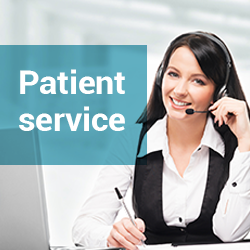 The User will not hamper the use of the CENTRO MÉDICO SALUS BALEARES SL service by other Users or the use of similar services by another company. The User will particularly refrain from carrying out any activity contrary to the regulations governing personal data protection, the market and consumers, Intellectual Property, tax regulations, honour, privacy and the image and good name of persons or entities. The User is prohibited from eliminating, evading or manipulating the copyright and other data identifying the rights of CENTRO MÉDICO SALUS BALEARES SL or its owners which are included in the Content as well as the technical protection devices and any other information mechanisms included in the Content. CENTRO MÉDICO SALUS BALEARES SL, following its own criteria, may immediately terminate the service if the User’s conduct does not comply with the terms and conditions described herein. CENTRO MÉDICO SALUS BALEARES SL reserves the right to make changes to the Web Portal without notice with the aim of updating, correcting, modifying, adding to or eliminating the Portal’s content or its design. The content of the Portal is updated periodically. Since the information is not updated immediately, we suggest you always verify that the information on the Portal is both current and correct. CENTRO MÉDICO SALUS BALEARES SL may, at any time and without notice, modify these General Conditions and any Special Conditions that may be included and the modifications will be published on the Web Site so that Users can be made aware of them. The structure of the Web Site, its design and the way its elements are displayed [graphics, images, files, logos, colour combinations and any element capable of being protected] are protected by the intellectual property rights of CENTRO MÉDICO SALUS BALEARES SL. It is not permitted to reproduce, transform, distribute, publicly broadcast, place at the disposal of the public and in general neither partially nor totally make use the elements referred to in the previous section. Such acts of use may only be carried out with the specific authorization of CENTRO MÉDICO SALUS BALEARES SL and must in every case make specific reference to the aforementioned intellectual property rights of CENTRO MÉDICO SALUS BALEARES SL. It is only permitted to reproduce [print or download] the content displayed on the Web Site when this is for personal use. It is not permitted to use the distinctive signs [brands, trade names] unless there is specific authorization from their legitimate owners. In general, as regards any inadequate use of the Web Site owned by CENTRO MÉDICO SALUS BALEARES SL.- Users must use the Web Site in an appropriate manner in accordance with the above conditions and terms and CENTRO MÉDICO SALUS BALEARES SL will not be held responsible for any undue use of the site. As regards any possible technical shortcomings. – CENTRO MÉDICO SALUS BALEARES SL will under no circumstances be liable for alterations to the service which arise due to failures in the power network, the data connection network, the server or any other services. As regards access to its system by third parties, CENTRO MÉDICO SALUS BALEARES SL will take all necessary technical precautions to protect the data and information accessed but will not be liable for third party actions which, by overcoming the security measures in place, allow access to that data. This Web Site may contain links to other, third party webs, the content of which is beyond the control of CENTRO MÉDICO SALUS BALEARES SL. They are included for information purposes and do not imply any acceptance or guarantee by CENTRO MÉDICO SALUS BALEARES SL regarding the content of those Web Sites. Therefore, CENTRO MÉDICO SALUS BALEARES SL rejects all liability in relation to such sites and for any damage caused for whatever reason to their computer system (equipment and applications), documents or files. CENTRO MÉDICO SALUS BALEARES SL, to the extent permitted under applicable law does not guarantee the reliability, availability or continuity of the functioning of the Web Site nor its contents for technical, security, control or maintenance reasons or arising from faults due to the server which hosts the content or due to other intermediaries or suppliers, due to attacks on the computer system, nor for any other reasons arising from causes beyond its control and therefore is held harmless from any direct or indirect liability due to them. CENTRO MÉDICO SALUS BALEARES SL will not be responsible for faults, errors or direct or indirect damage which might be caused to the User’s computer system or to the files or documents stored on it, which are caused by or derived from the capacity or the quality of their computer system or by the presence of a virus or any other harmful computer application in the computer used to connect to the content of the Web Site, from the quality of their connection or access to the internet, due to their browser working incorrectly or due to computer programmes not updated to their latest versions or for which the corresponding user license is not obtained. CENTRO MÉDICO SALUS BALEARES SL shall not be held liable for any claims in respect of the intellectual property rights of the articles and images published on its Web Portal. Neither does it guarantee that the content of this Web Site, whether its own, that of a third party or via links to other Web Sites, is accurate, true or current and therefore releases itself from any liability derived from such content. In general, the relationships between CENTRO MÉDICO SALUS BALEARES SL and the Users of its computerised services, which are present on this Web Site, are subject to Spanish legislation and jurisdiction and both parties in any litigation arising from this agreement subject themselves to the Courts and Tribunals of the place of residence of the User (Spain). If a competent court considers any of the provisions of this agreement to be contrary to Law, such provisions will be redrafted in order to become a true reflection of the intentions of both parties, whereas the remaining provisions will remain in force and will continue to be applicable. In the event that any of the clauses in this agreement should be deemed invalid or inapplicable, then the valid or applicable part and the remaining provisions in the Agreements will remain valid and continue to be applicable.